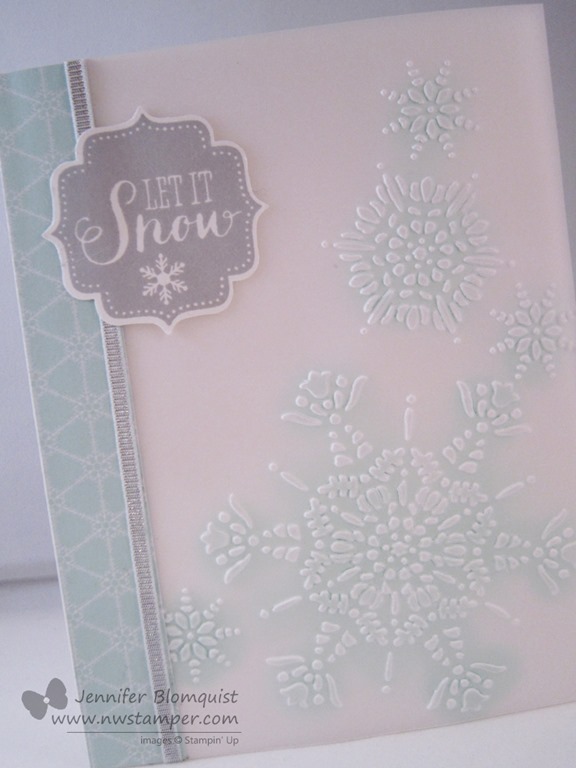 Yesterday I shared a post highlighting the 4 holiday different cards I made using this month’s Paper Pumpkin kit, which made some cute Christmas cards. 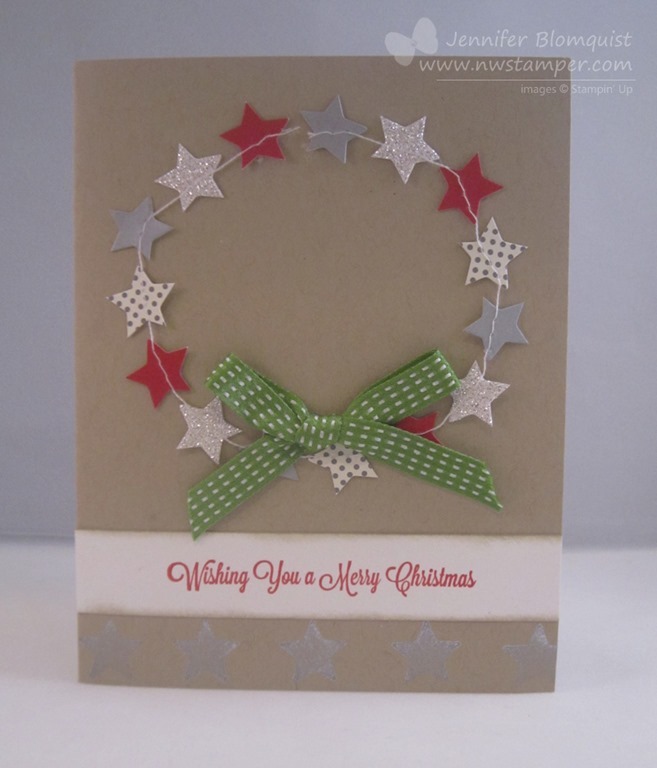 Well, I ended up with extra star garlands and I had seen a very simple card by Lyssa Zwolanek that used the star garland as a wreath and I thought it looked super cute, so I just had to make my own! If you didn’t get this month’s Paper Pumpkin, you could recreate this look by using the small star punch from the Merry Minis Punch Pack and then use a sewing machine or hand stitch … or if you aren’t much of a sewer, like me, you can do some faux stitching with a white pen for a similar effect! I was going for something that was easy to make a lot of without taking a ton of time or wearing out your arm, and this is one of the designs that came about. 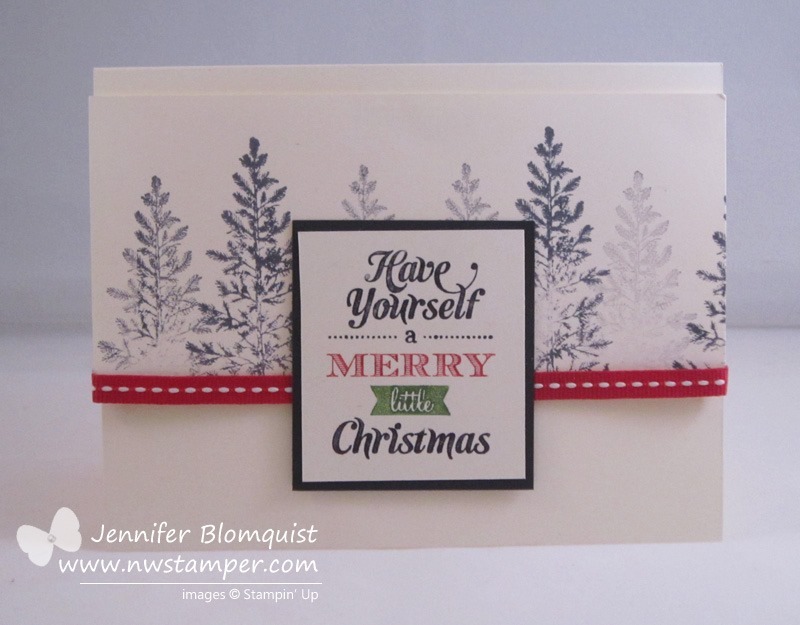 I loved the snowy/foggy forest look I got by stamping with Basic Grey ink and then re-stamping the tree (of course, from the amazing Lovely as a Tree), before I inked again. 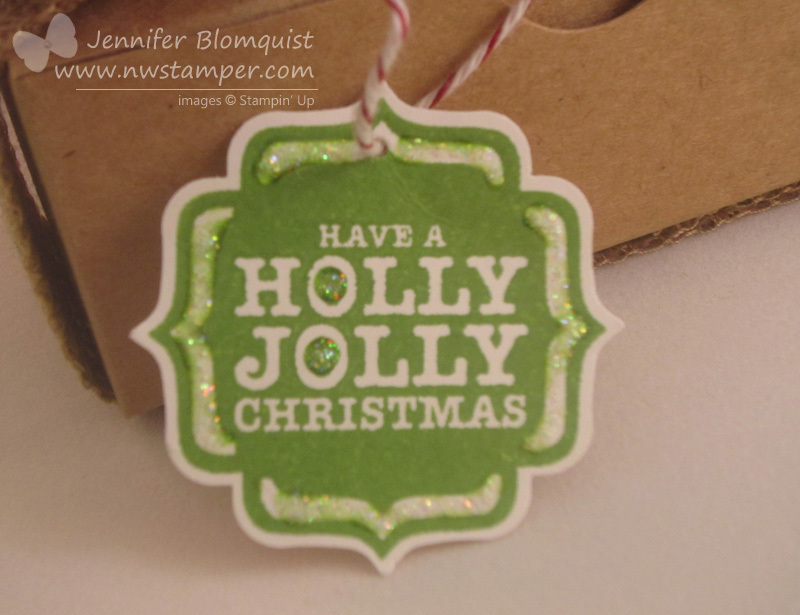 And by having the trees stamped on a separate piece of Very Vanilla cardstock, I didn’t have to worry about what happened to the bottoms of the trees! 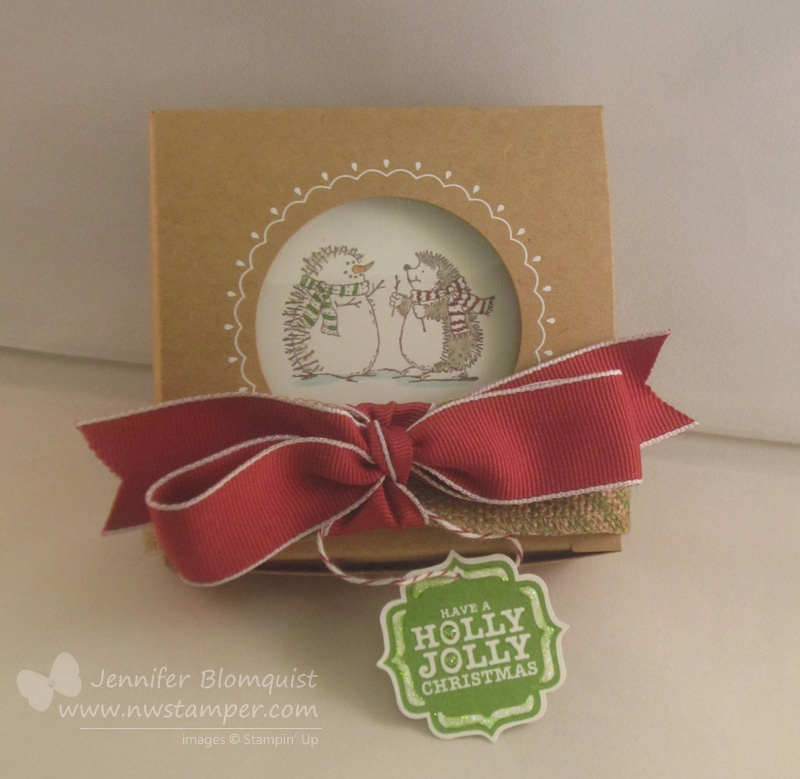 Add some stitched grosgrain ribbon around the Very Vanilla layer for a pop of color and color in the sentiment with markers and you get just the right balance of color and snowy day. 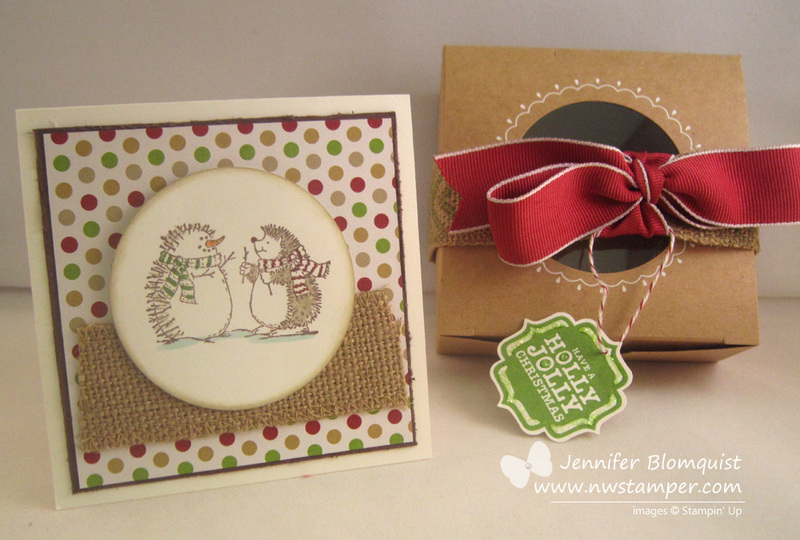 Want to make some Christmas cards? 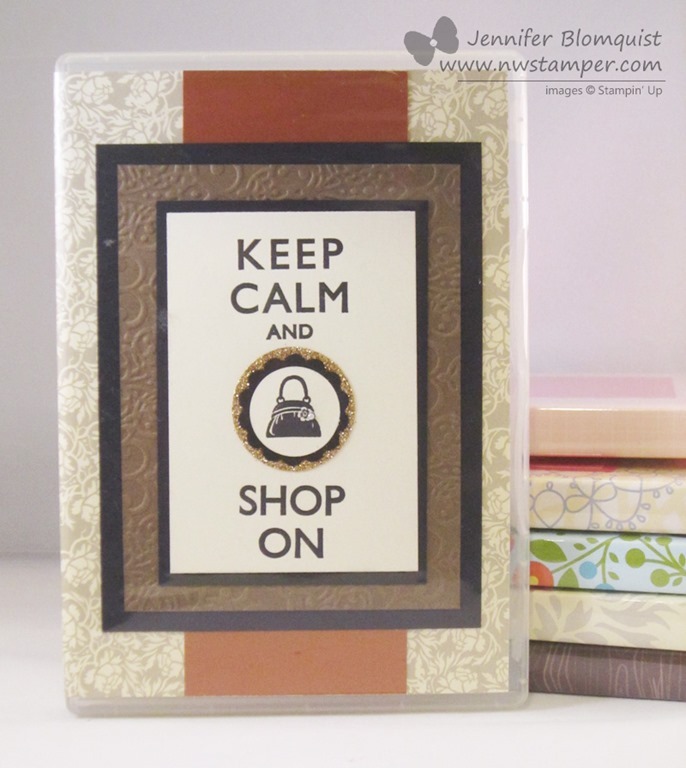 Join me on Thursday (10/24/2013) for a night of stamping in Redmond, WA. 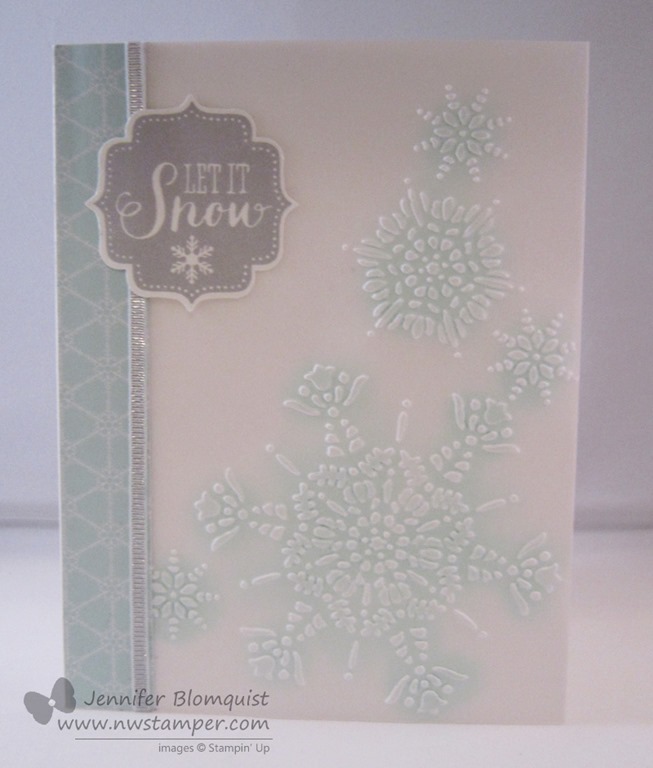 We’ll be making these cards plus one more super cute snowflake sparkle card! 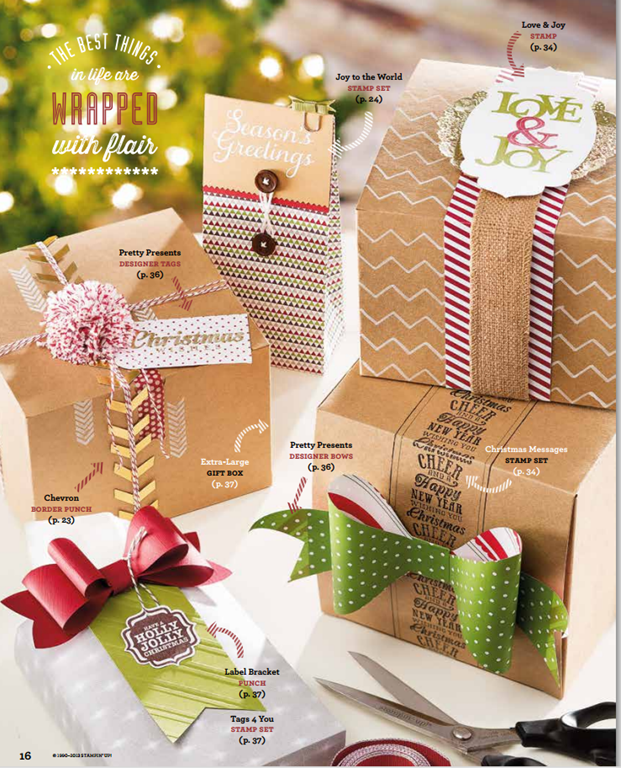 Can’t make it in person, I offer kits as well! 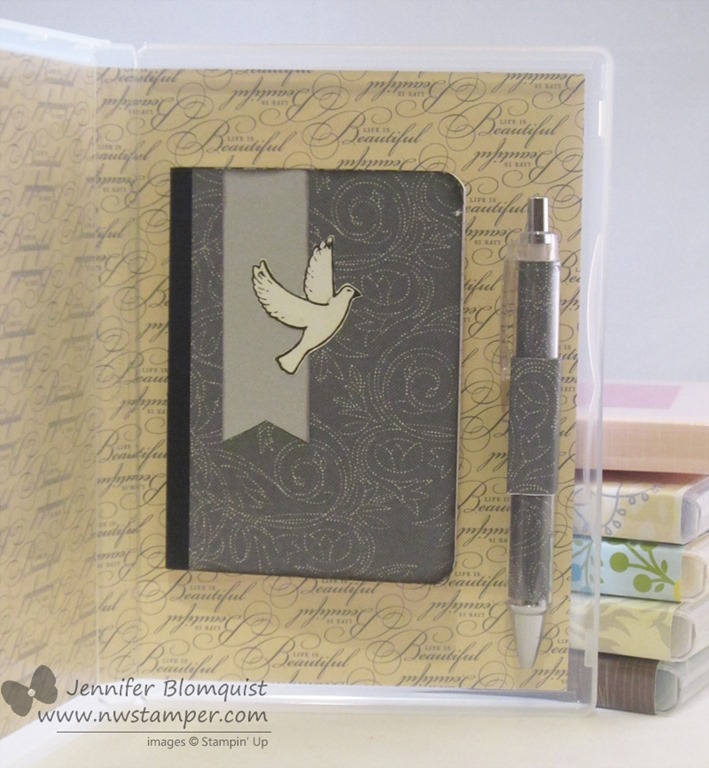 Email me at jennifer@nwstamper and I’ll get you all set up!